With the golf season in the early weeks of play there's still a lot of optimism from boys head coach Jason Payne, as well there should be. The team returns a strong squad, despite being hit hard by graduation last year. "I believe we will be very completive within our league," Payne said. "We lost four members of our varsity through graduation, but I have no doubt that this squad has just as much talent as last year. The key to winning is going to be minimizing mistakes as a team. Many of our guys are new to varsity level golf and are letting the stage mess with their head. We have the talent and the skill to compete with anyone." Returning to the squad is junior Jacob Hausserman, the golfer Payne figures to be the best athlete of the bunch. That's not to discount the attributes of other competitors Byran Rector and Zeke Hubert. Rounding out the roster are Baker McQueen, Bradon Garrow, Ryan Berry, and Ryan Jeffries, and with consistent improvement in their technique and decision making, Payne sees an opportunity where the team can make a case for a league title. Against tough league competition though, they'll have to be on their "A" game to win out. "I'm not sure who will be returning from other schools," Payne said. "Rex Putnum has a golfer that has performed really well in the past, but I'm not sure if he will be returning this year. LaSalle has a golfer that should have made some more improvements which would put him right up with the best." The competitive fire that the Wildcats bring to the course is important, but Payne was also happy with the positivity and good sportsmanship his squad is bringing as well. "The thing that I am most proud of is the attitude and demeanor Wilsonville golfers tend to have," Payne said. "They all want to do well, but I've yet to see one of our guys behave in a way that isn't consistent with the high standards of golf. They all play with integrity, show consideration for other golfers, and repair the course as they go." 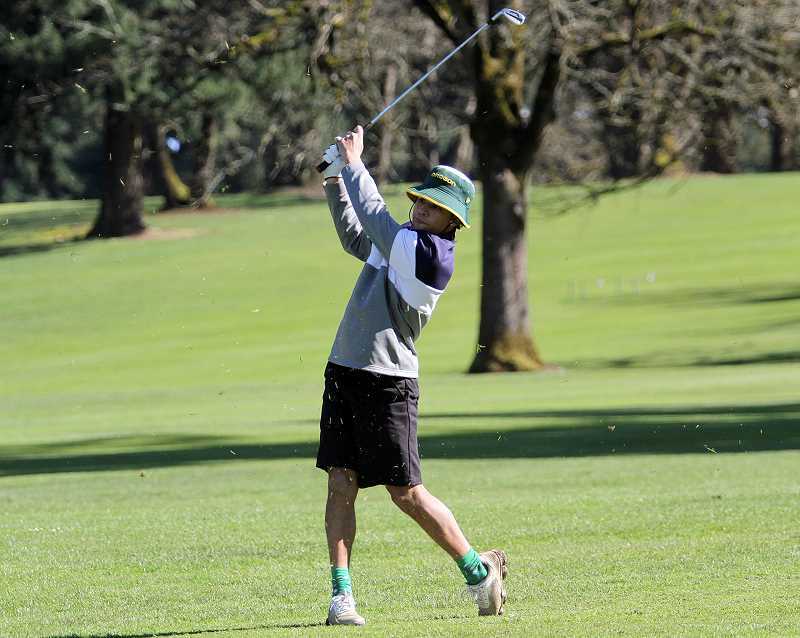 In the first match of the season on Monday, March 18 against league foes La Salle, Scappoose, and St. Helens/Rainier, Wilsonville's boys golfers took first place as a team with a score of 371. The Wildcats narrowly edged Scappoose by nine points. Baker McQueen took third place overall with a score of 85.